Green Travel - Make your next trip more eco-friendly. If you are planning a trip, you are undoubtedly feeling excited as you anticipate adventure, fun and taking a step into the unknown. But have you given much thought to the environmental toll that your vacation may be taking on the planet? Whether you are in the process of booking a luxury beach holiday, a short camping trip or a round-the-world backpacking experience, your actions while on vacation can have an impact on the environment, unless you plan ahead and spend some time thinking about what you can do to less your eco-footprint. 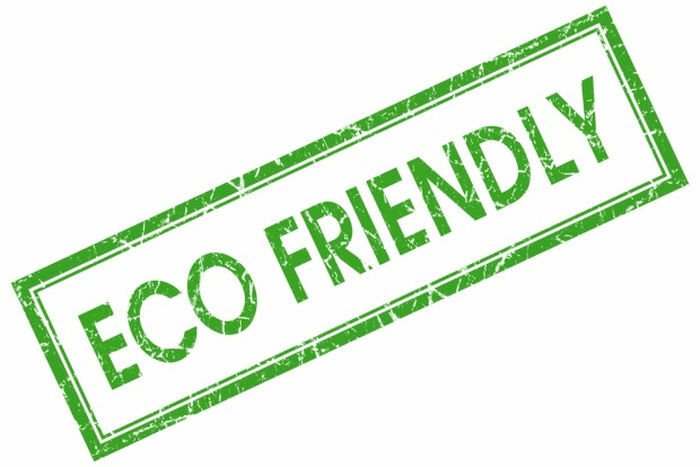 The team here at Ambient Bamboo Floors have done some research and compiled their own personal best green travel tips in order to help you reduce your carbon footprint when you are on the road. Where to go? Making an ethical choice – At the very early planning stages of your trip, you should begin researching the best destinations that fit your needs while still going easy on the planet. Ethical Traveler compiles an annual report detailing the world’s most environmentally and socially responsible travel destinations. They analyze hundreds of international travel hotspots and then they “elect the ten that are doing the most impressive job of promoting human rights, preserving the environment and supporting social welfare—all while creating a lively, community-based tourism industry.” It definitely pays to look at the current report, but you should also peruse the reports of past years to find locales that have recently made the grade. Choose your accommodation wisely – Planning to visit a stunning all inclusive resort set right on a white sand beach? Before you make a reservation, think carefully about the structure in which you will be staying. Was it built to a high environmental standard? Does it pump raw sewage into the ocean? Does it house thousands of guests, necessitating copious amounts of bleach, cleansers and detergents every day?The hotel, resort, campsite or cabin at which you stay makes a huge impact on the environment around it, and so it is always a good idea to check their reputation in advance. Choosing accommodation that boasts a Leadership in Energy and Environmental Design (LEED) certification will certainly help lessen your footprint – have a look at the LEED site to find a hotel in the location you have chosen. Use local transportation – or your own two feet! When travelling abroad, it can be tempting to take advantage of a strong currency in order to book a private driver or to take taxis everywhere. If you want to travel green, you should consider using local transportation whenever possible – local buses and trains will get you to point A to B in an interesting and low impact way. Whenever possible, use your own two feet – walking is the best way to see a city, as you will see, smell and touch so much more than you would from behind the glass of a car window. Walking is not the only way to get around with zero impact; hiring a bicycle is a great way to get some exercise as you see the sights. Eat local food – Traveling abroad is a fantastic way to experience other cultures, delve deep into another society and see sights that you never dreamed of seeing – and it is also the perfect time to taste delicious local cuisines. With that said, many people travel to foreign locales and insist on eating pizzas, burgers and fries from fast food restaurants and international chains. Don’t fall into this trap! Not only will eating what the local people eat increase your horizons and enrich your trip, it will also lessen your carbon footprint, as foreign supplies do not have to be shipped in in order to create your beloved Hawaiian pizza.Eating from small (and delicious) restaurants, street food stalls and cafes also helps to put money directly into the hands of the local people – and that is the best way to go green and ethical when traveling. Be the change you want to see – This famous quote can be applied to green travel in so many different ways, but in this case we are referring to travelling as lightly as possible. Use your towels more than once, and let your cleaners know that you would like to use the same sheets and linens for your entire stay. Don’t take excess paper products, and use the smallest amount of toilet paper, tissue and food wrappers as possible. Carry a reusable bag and try to avoid plastic water bottles (although this is not always possible in countries that do not have safe drinking water). In order to truly embody this lovely quote, simply tread lightly and use less whenever possible. Don’t inadvertently make things worse – Once you visit a beautiful place and meet a lot of kind and friendly people, you might feel compelled to donate your money or time to local organizations. While this altruistic impulse is to be commended, you do need to ensure that you are not accidentally making things worse. Make sure that the charity to which you donate money is ‘on the up and up’ and properly accredited by local standards.When it comes to so-called ‘voluntourism,’ it is deeply important that you ensure you are not causing the very problem you are hoping to assuage. This is especially important when volunteering in orphanages – many of these found in the developing world are actually money making fronts that use children as a way to glean donations from well meaning foreigners. Lonely Planet has published a fantastic paper about the issue, entitled “Voluntourism tips: is it ethical to visit orphanages?” This should be required reading for anyone who is considering spending time in an orphanage in the developing world. When in doubt, rule it out. We hope that these tips will help you – and the planet – on your green holiday. Did we miss any important or useful tips? Join the conversation in the comments section below.